Recently my skin has been looking a little ‘meh’. It’s been looking dull, dry, and I’m getting quite an outbreak of spots. I’ve never had amazing skin, and it’s never seemed to grow out of it’s teenage spot phase. But it’s been looking even more worse for wear recently. So I decided it was about time that my skin needed a pick me up, and I decided to invest in some new high end skin care. I have no idea with what I’m doing when it comes to skin care. I know I need to wash my face, and cleanse, tone and moisturise, but when it comes down to products and ingredients etc, I don’t know whats best. So off to Debenhams I went with absolutely no idea what I was looking for. I didn’t even have a brand in mind, but found myself at the Origins counter staring blankly at all of the lotions and potions lined up on the shelves. I must have looked lost, and luckily an assitant came over to help me. I told her what was wrong with my skin, and that I had no idea what I was doing, and she was lovely and helped to point me in the right direction of the Origins Never A Dull Moment range. After talking to her I decided I needed the cleanser, and she also gave me a couple of other samples to try. I’ve never used anything from Origins before so I wasn’t too sure what to expect, and I didn’t think I would initially be ‘wowed’ by a cleanser. Nevertheless I decided to give it a go, and thought that if it’s not brilliant, I only spent £17. 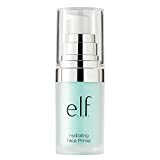 So I started using this and already after a couple of days I started to see an improvement in my skin. It was already looking brighter and healthier, and felt much smoother. It contains papaya extracts so it smells amazing! The only problem I’ve found with it is that it doesn’t really take off my eye make up well, and when I do use it on my eyes it stings, so I’ve started using an eye make up remover first. Other than that it’s working wonders so far. I haven’t seen an improvement to my spots yet, but my skin is feeling cleaner after using this.